START DATE: This class is currently closed. COURSE DESCRIPTION: Grief is an experience that never feels complete. Yes, you can explain the chronology of what led to someone’s death and its aftermath, but the way that we experience grief is both cyclical and fragmented. How could it not be? There is something missing from our lives now, and so it makes sense to write about grief in a way that reflects our experience of it. In this course, we will read Bluets by Maggie Nelson and a handful of craft and other literary essays that explore different ways to write about grief. We'll look at the impact that metaphors and imagery have on grief narratives, and also focus on the importance of rhythm and pace to reflect our experience. Throughout the course, participants will take turns giving and receiving feedback on each other’s writing, and each participant will receive line edits on her own writing from the instructor every week. Members will also engage in discussions online through the course’s website. The group will be coordinated through email and a private forum. 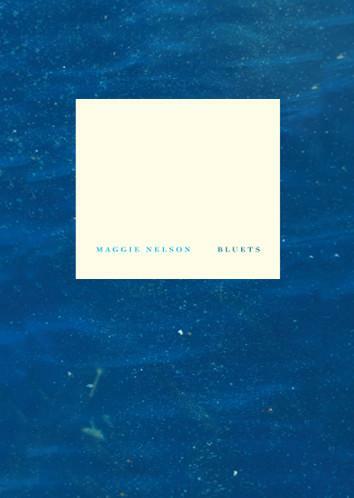 For this first week of the class, we will dive into Maggie Nelson’s book, Bluets, and read a craft essay about different aspects of using a fragmented structure to tell our stories. We will also focus on exploring how to engage readers with our grief narratives right from the very first word, and what to do to encourage those opening thoughts to ripple out through the rest of our writing. Assignment: Read the assigned reading, and complete at least one of the writing exercises on your own. Post your response to one of the discussion questions online. Email the instructor your writing-in-progress for the week (1000-word limit). Comment on your peers’ essays as assigned. This week we will continue to read Bluets and discuss the different ways we can approach our grief narratives to create a deeper story, specifically through researching other concepts that we may relate to our experience of grief to then create a telling metaphor. Through this, we will look at how digressions can bring power and meaning to a story. The process of grieving does not have a steady pace. Sometimes it can feel as if grief just rushes over us, completely drowning our sense of being. Other times, it can feel like a slow drip that won’t ever stop. This week, we will finish reading Bluets and will look at how the pace of the book (as well as each fragment) creates the overall tone of the text, and how we can use pacing to perfectly reflect our experience and guide the reader through it. For the last week of class, we will focus on how different kinds of endings impact the reader’s overall sense of the story. Because grief is never-ending, it can be difficult to figure out when/where to end your narrative, as well as if you should include anything about the concept of “healing” in it. We’ll also explore how an author can write towards her story’s end right from the very beginning. Materials needed: Bluets by Maggie Nelson. All other readings will be provided by the instructor. Sample Lesson from one of Chelsey’s Classes: The Women Writers’ Book Group: The Empathy Exams: Week I. ABOUT THE INSTRUCTOR: Chelsey Clammer is the award-winning author of Circadian (Red Hen Press, 2017) and BodyHome (Hopewell Publications, 2015). 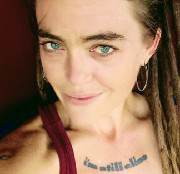 A Pushcart Prize-nominated essayist, she has been published in McSweeney’s Internet Tendency, The Normal School, Hobart, The Rumpus, Essay Daily, The Water~Stone Review and Black Warrior Review, among many others. She is the Essays Editor for The Nervous Breakdown and a voluntary reader for Creative Nonfiction magazine. You can read more of her writing at: www.chelseyclammer.com. COST: $140, which includes weekly assignments, individual feedback from the instructor, and an emotionally safe space to explore your stories. BUY NOW: When Life Fissures: Writing About Grief in Fragments with Chelsey Clammer (4 weeks, starting 9/24/2018) Limit: 12 students. Early registration is recommended. This class is now closed. Please check here for our current schedule. Notes: Upon successful completion of payment, your name, email address, and contact info will be submitted to your instructor. Just before class begins, she will e-mail you with instructions on how to get started.